With a rebuilding program in hand, Iraq planned to develop the infrastructure by rebuilding the entire governmental setup including ministries, schools, colleges and various other institutes. With its specialty in contemporary functional office furniture, FurnitureInFashion is pleased to announce that it is launching furniture for government employees at various government offices. FurnitureInFashion has previously provided exquisite office furniture for government offices in Iraq in lieu of the Ministry of Reconstruction and Development that approached FurnitureInFashion for furniture products. Iraq government had placed a gigantic order of office furniture at FurnitureInFashion for development of the infrastructure by the Ministry of Education, Ministry of Health and all other governmental bodies. Asad added, “We supply a lot of types of furniture in a number of colors, materials, and fabrics that can easily match with the different color combinations of the office interiors. 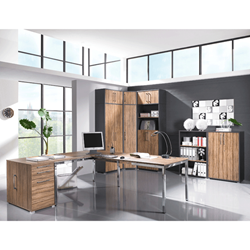 Also, the company specializes in office furniture for commercial use as well, which includes vast variety of office chairs, office sets, office cabinets, and shelving and computer desks. The storage compartments that we provide are extremely comprehensive in use as they help to store files, documents, and various other office items. The office chairs at FIF are the most ergonomically used products which are ideal for employees who work for an extremely long time.